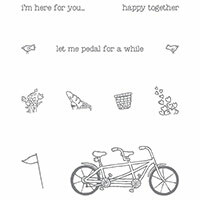 Care Bear Stamps: Happy Together - Pedal Pusher Stamp Set By Stampin' Up! 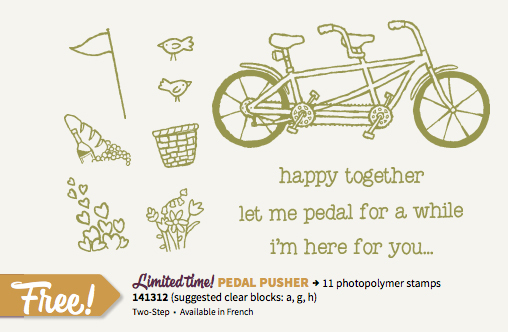 Happy Together - Pedal Pusher Stamp Set By Stampin' Up! I'm back at it with some inspiration to share. This cute card was made as part of a challenge that my up-upline Kristine Burns offers once a month. 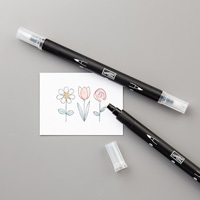 She'll mail us a few supplies, we then combine those items with whatever we have in our stash, and we come up with our own creation. It's always so neat to see how everyone has such different ideas. Kinda like life I guess? 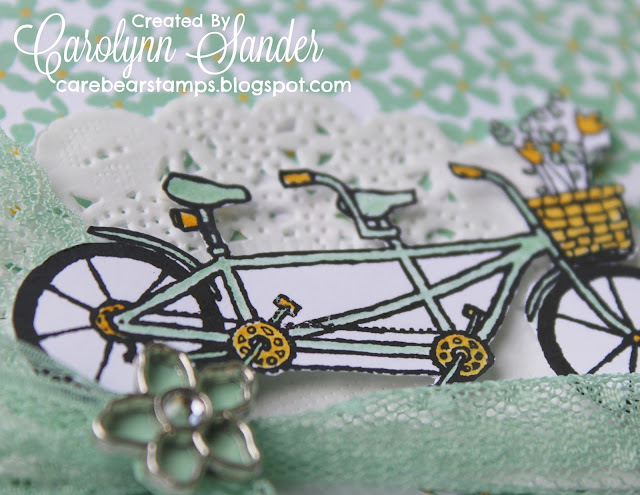 When this little bicycle built for two came out, with Sale-A-Bration's 2nd release of free products you can earn, I knew I had to have it! You can get yours free too with a product purchase of $60 during Sale-A-Bration! 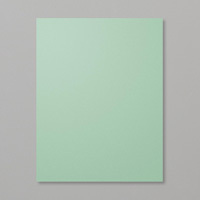 It comes with a few different sentiments, making it oh so versatile. 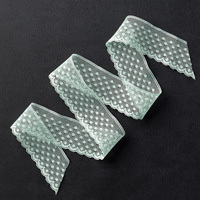 The doily, and the lacy mint macaron ribbon add that extra bit of frill! As for the wee flower embellishment, I backed it with mint macaron paper. I like my flower petals to be filled with colour! 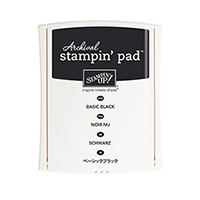 Feel free to contact me (email: carebearstamps@gmail.com) if you are interested in learning more about Stampin' Up!, or if you wish to host a party, place an order, or join my team. 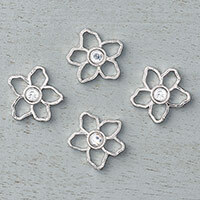 You can also shop directly, by clicking on the "Shop" icon to the right of this post. 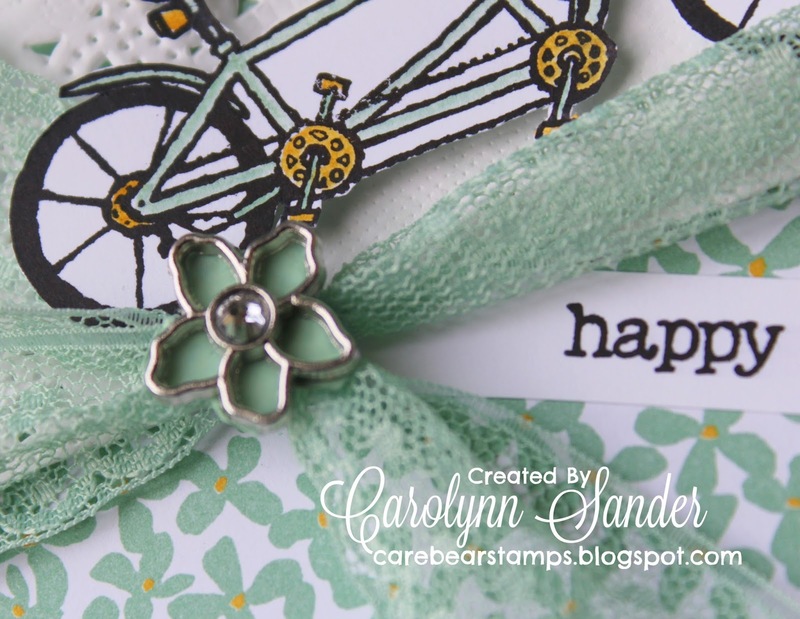 I'd love to share this hobby journey with you! 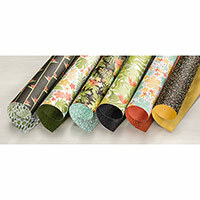 Sale-A-Bration is until March 31st, contact me before then if you would like to reap the Sale-A-Bration Benefits! P.S. 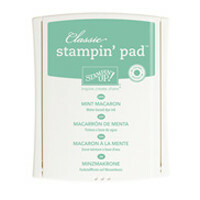 See the Stampin' Supply list below for details on all of the products used to make this card! 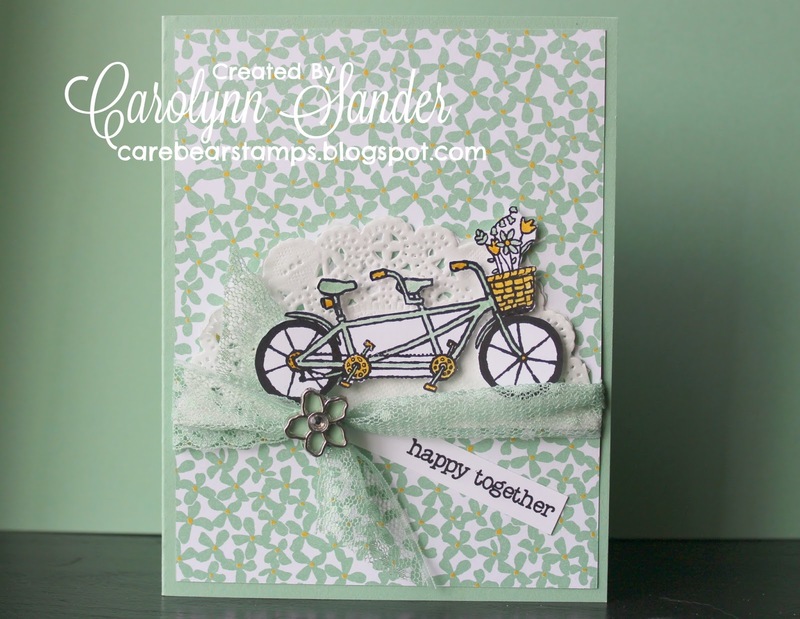 Gorgeous card Carolynn! Love the lace. Glad you enjoyed the challenge supplies!